Our medical and mental health team - through an integrated model of care - provides comprehensive medical, nutritional, gynecological and psychological care through age 29. Our practice also includes sub-specialty programs including: eating disorders, substance use, chronic pain, mood disorders and healthy eating. Dr. Chantay Banikarim specializes in in the treatment of eating disorders, chronic pain, substance use and weight loss. She received her medical degree from the University of Pecs and completed her Pediatric residency at the University of Florida. 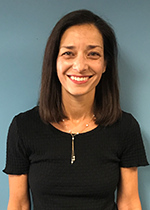 Dr. Banikarim received her subspecialty training in Adolescent Medicine from Baylor College of Medicine and earned a master’s degree in Public Health from the University of Texas. She is board certified in Pediatrics and Adolescent Medicine. Dr. Christine Fiechter received her medical degree from the New York College of Osteopathic Medicine. 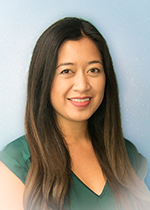 She completed both her General Psychiatry residency, and her Child and Adolescent Psychiatry subspecialty training at Maricopa Integrated Health System. She is board certified in General Psychiatry and Child and Adolescent Psychiatry. Her professional interests include working with foster families and early childhood trauma. Dr. David Messer is a licensed psychologist with experience serving youth in community settings. In his role as behavioral health consultant, Dr. Messer provides clinical oversight of the behavioral health services delivered at the clinic, and works alongside Devereux’s primary care physicians to ensure the integrated healthcare needs of our patients are managed appropriately. 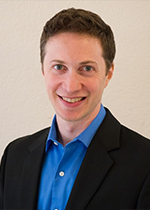 Dr. Messer received his Ph.D. in counseling psychology from Arizona State University in 2017. His areas of practice include evidence-based individual and couples therapy—including CBT, ACT, and solution-focused therapy—child and family therapy, and advanced group therapy models. Dr. Messer is a published author in the area of mind-body medicine and has collaborated with physicians at the Cancer Treatment Centers of America and they Mayo Clinic to educate patients with medical concerns about therapeutic mindfulness and coping skills.